When the email arrived in Quinn Reynolds's in box on the morning of her flight to Florida, she sent it straight to her trash folder. The last thing Quinn needed was to be reminded of the pact she made with her ex–best friends—the one where she promised she would do something crazy before graduation. But that was before everything on the trip went wrong. Each book in this trilogy is told from the perspective of a different girl—Lyla, Aven, and Quinn—former best friends who, back in freshman year, wrote emails to their future selves about the one thing they hope to accomplish before they graduate. Over the course of the series, each girl will learn about life, love, and the truth about the fight that ended their perfect friendship. I basically knew as soon as I finished Heat of the Moment that I was in for all three of these books. I just think it's a really neat concept to have these three girls stories happening on the same trip and release them all around the same time. (Yay, no yearlong wait!) And my favorite part of this book was the scenes where Quinn's path crossed with Lyla, Aven, or both. 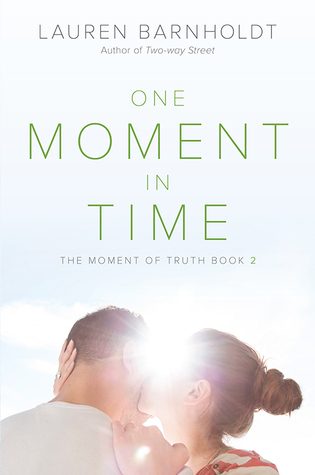 They made me want to go back to Heat of the Moment and read them again from Lyla's point of view, so I could remember what she was thinking of the situation as it happened. Unfortunately, like with Heat of the Moment, I didn't like the main character. Quinn was quite judgmental of others, and I'm not sure if that aspect of her personality was much changed by the growth she underwent throughout the novel. I did enjoy Abram, though. We've got one book left. I can't comment on Aven's character yet, but she has the potential to be my favorite of the three. And I'm looking forward to seeing the conclusion that it just beyond the final scenes of these last two books. I hope it's a good one. You should do it! They're cute & fun! And I really do love the 3 stories running together and finally converging at the end idea!